Chicago: A brutal cold wave hit the American Midwest on Wednesday, bringing temperatures lower than those in Antarctica, grounding flights, closing schools and businesses — and raising fears of hypothermia. US media attributed at least five deaths since the weekend to the freezing conditions and a major snowstorm that preceded the blast of Arctic air gripping the region. The phenomenon caused surreal scenes throughout the region, such as steam rising off the waters of Lake Michigan, parts of Niagara Falls solidified into frozen stillness, and blocks of ice covering the river winding through downtown Chicago. America's third city was in the direct path of the harsh weather and experienced its second-coldest day ever. Chicago was on track to break new records overnight when temperatures were forecast to reach their lowest points in the early hours Thursday. "This is a historic cold, obviously," Chicago mayor Rahm Emanuel told a Wednesday night news conference. "They are life-threatening temperatures, and they should be treated accordingly." 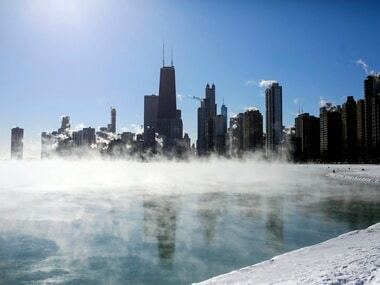 The morning temperature in the Windy City was -22°F (-30°C), which felt like -50°F (-46°C) with wind chill. It was colder than Alaska's state capital and even colder than parts of Antarctica. "It feels like being close to dry ice," Leon Gilbert, 31, said. "I can feel my skin tighten up." Unlike most Chicago residents, Gilbert was required to report to his job at a Starbucks on a downtown street largely devoid of its usual bustle of people and traffic. Sandwich shop manager Daniel Gonzalez, 37, also reported to work — at 5:00 am. "I have two shirts on... I have a hoodie, I have my big winter coat, I have a face mask and a skullcap and still cold," Gonzalez said. At Chicago's O'Hare airport, a major regional hub for airlines, ground crews struggled with freezing equipment and were told to avoid spending more than 15 minutes at a time exposed to the cold, causing delays for flights that managed to take off. More than 1,800 flights were canceled at Chicago's two major airports, while rail operator Amtrak scrapped train services from its hub in the city. The US Postal Service suspended deliveries in parts of Indiana, Michigan, Illinois, Ohio, Iowa, the Dakotas and Nebraska. The National Weather Service said temperatures would remain 25° to 45° below average through Thursday, with wind chill values as low as -25° to -55°F (-32 to -48°C). "The dangerously cold wind chills could cause frostbite on exposed skin in as little as five minutes," NWS said. Illinois, Michigan and Wisconsin implemented emergency measures. Michigan governor Gretchen Whitmer said government offices would remain closed through Thursday. Nonessential employees would stay home. "The priority must continue to be on keeping people safe," she said. Authorities and health experts warned of frostbite and hypothermia. Hundreds of warming centers were opened for vulnerable residents such as seniors, buses were employed as mobile warming spaces, and shelter capacities were increased for the homeless, including the approximately 16,000 living on the streets of Chicago. Burke Patten, spokesman for Chicago homeless shelter provider The Night Ministry, said some of the homeless were reluctant to go to shelters. "The concern would be whether they are going to be able to survive in these bitter cold temperatures," Patten said. Flight cancelations piled up throughout the country — more than 2,700 by the evening, stranding travelers such as Brandon Robinson who spent extra days at a Chicago hotel. 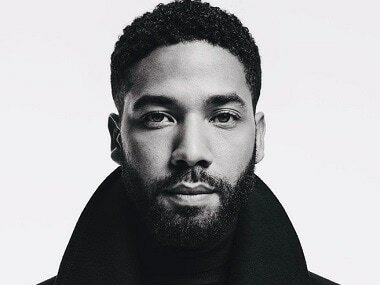 "I'm here until they let me leave," Robinson said. Remnants of a weekend snowstorm continued to plague portions of the northeast US — with strong winds and blowing snow reducing visibility on roads. Heavy snow was forecast in the northern stretches of Maine and snow squalls predicted for other parts of the east coast.